Internet. For me, it is a world of boots. I had a msn group call 長靴俱樂部. boot.hk.st I created this group and pretended to all group members that I had a lot of pairs of boots. I made friends with them. but they never know I am just a kid who is only 14 years old. But at that time, I already know a lot of thing about boots. 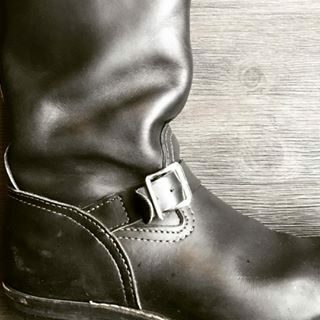 I know Wesco makes the best engineer boots, Dehner makes the best motorcycle cop boots. Cant believe I did that, and this makes me think I am born to become a bootman. I spent time to make the best logo and they believe I am so random guy who happen to love boots like they do. ‹ PreviousI like to look around and look for stores that sell men’s boots.